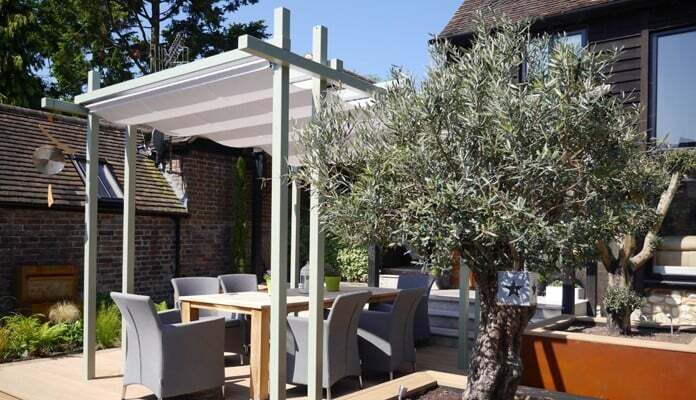 This Bespoke Contemporary Pergola Gazebo was designed by Garden Designer Carol Bridges and manufactured by us in the UK, a stunning pergola which has been made into a beautiful dining area on the deck. 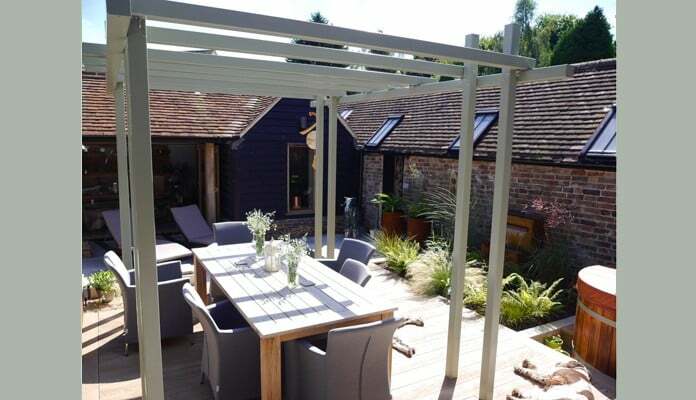 "Following a presentation to a regional cluster group of The Society of Garden Designers we were approached with a pergola design from designer Carol Bridges to cost and fabricate for a client of hers. 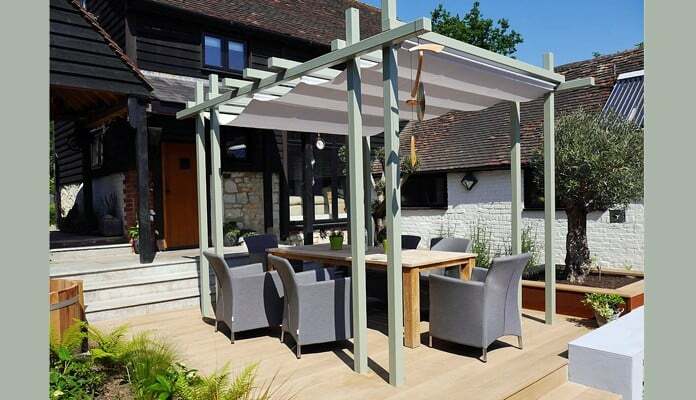 The Pergola was a break away from our standard range of products and materials and had to include a removable sun shade as the courtyard garden was in full sun during the middle of the day. The structure is finished in lichen green and the sail shade is manufactured from Marine Grade sail cloth. 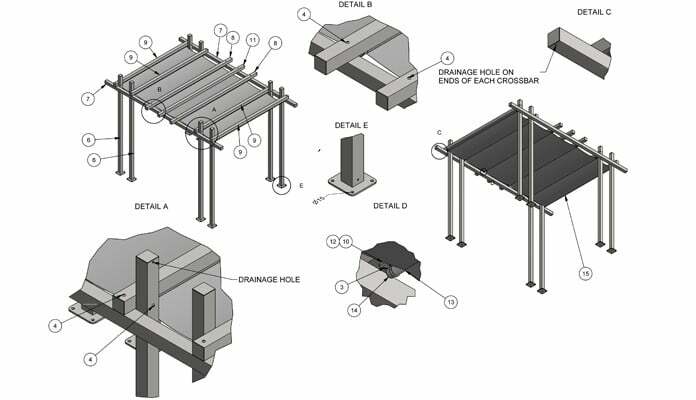 The steel uprights are galvanised for longevity and all fixings are stainless steel to prevent any rust staining over time from rain water on any part of the structure. 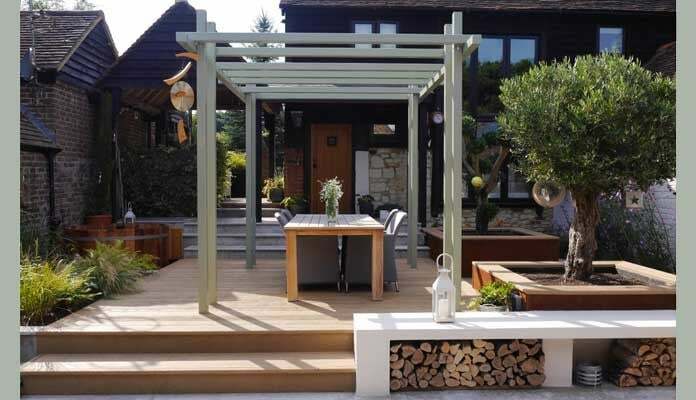 The pergola was delivered on time and on budget." 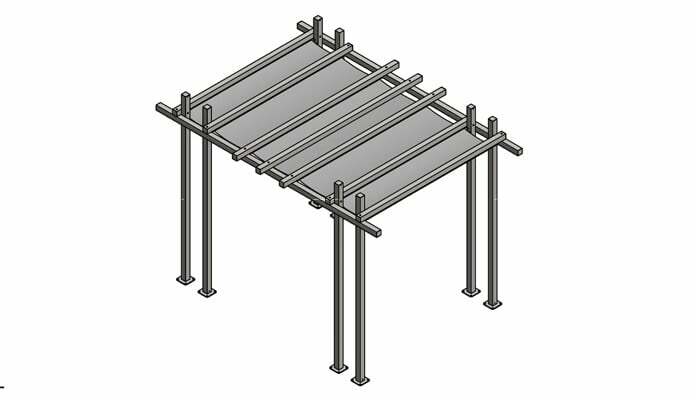 Manufactured from 75mm x 75mm x 3mm thick box section steel which is hot dip galvanised for a long lasting, durable finish. 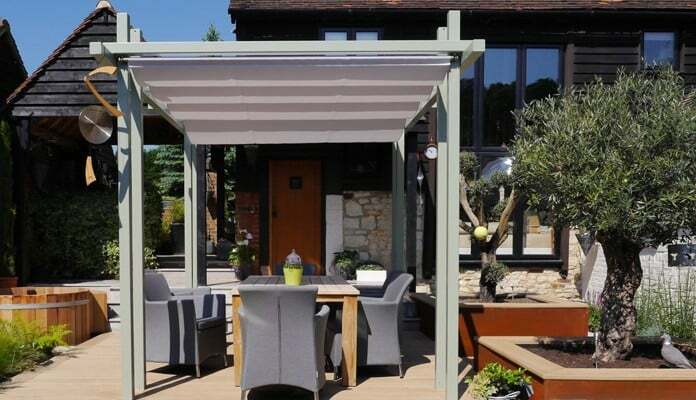 Discretely joined with stainless steel fixings and supplied with welded base plates to be fixed to concrete foundations, the pergola gazebo is supplied with a removable sun shade cover made from marine grade material. 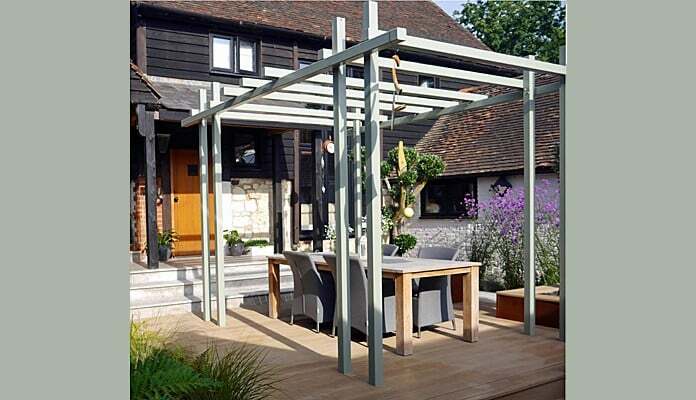 High temperature powder coated in an attractive Lichen Green for a weatherproof finish and to make the pergola an eye-catching statement on the deck or patio. Carol Bridges is a Garden Designer based in Reigate, Surrey designing, restoring and planting gardens throughout Surrey & Sussex.